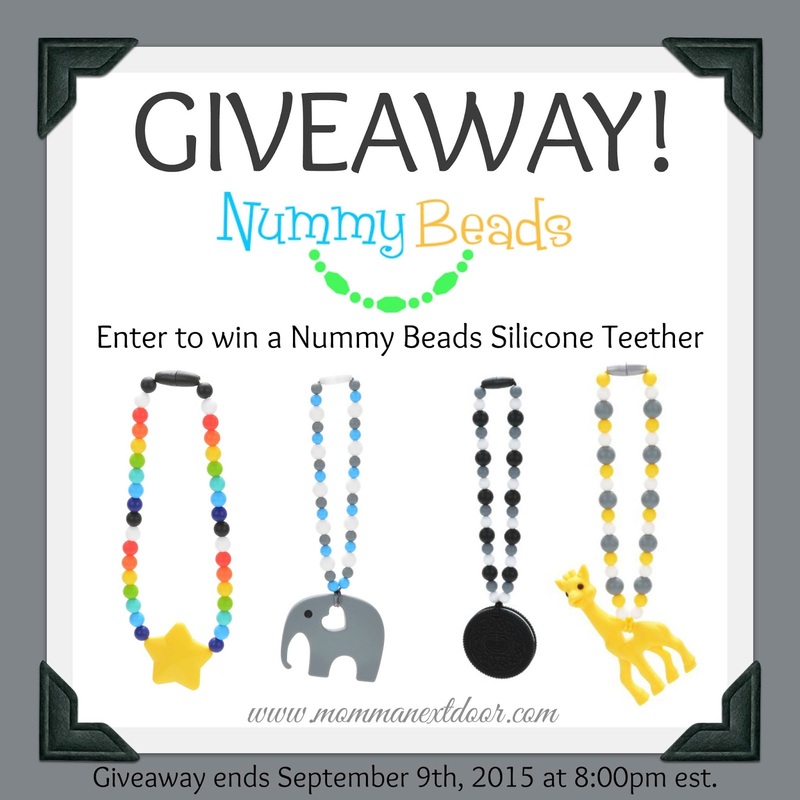 Simply Nerdy Mom: Nummy Beads Silicone Teether + GIVEAWAY! Nummy Beads Silicone Teether + GIVEAWAY! Teethers have gotten cuter and cuter through the years and they don't get much cuter than Nummy Beads silicone teethers. They come in a variety of colors and "shapes" and are so cute, you'll want to buy one of each! Seriously though, how adorable is this elephant?! These teethers are made of super soft silicone and will become your little one's favorite chewy. 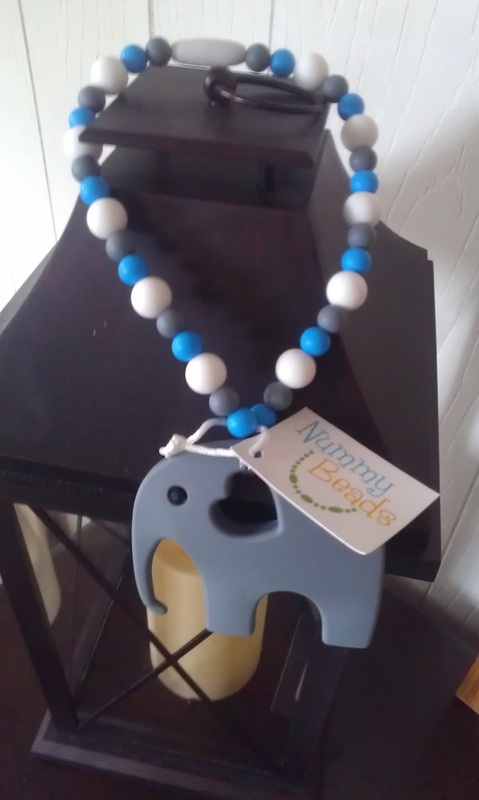 They elephant teether has little bumps on the back of it that really help sooth those sore gums. These particular teethers look like the stylish teething jewelry that is on the market right now, but they aren't made to be worn by you or your baby. Nummy Beads teethers are made to be attached to a carrier or baby sling of some type and can even be attached to a stroller. The beads seem to be on there pretty good, which I know would be a huge concern of mine when it giving it to my baby. I even had a bit of a hard time getting the connector to come apart to try attaching it to various things to see how well it would work. It's very lightweight, too so that's a huge plus. I'm ashamed to say I'm a little disappointed that these aren't big enough to wear, as the rainbow star one reminds me of something Rainbow Bright would wear! I love them! 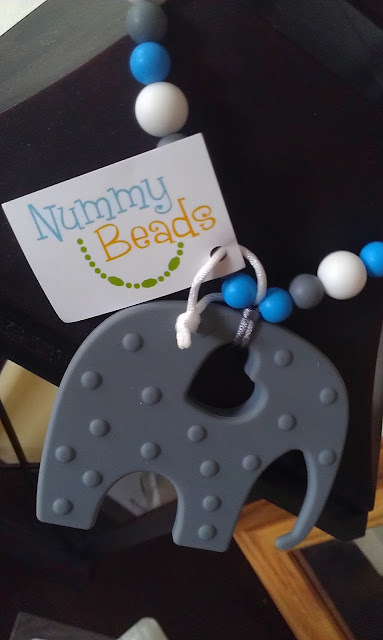 Want to win a Nummy Beads Silicone Teether?